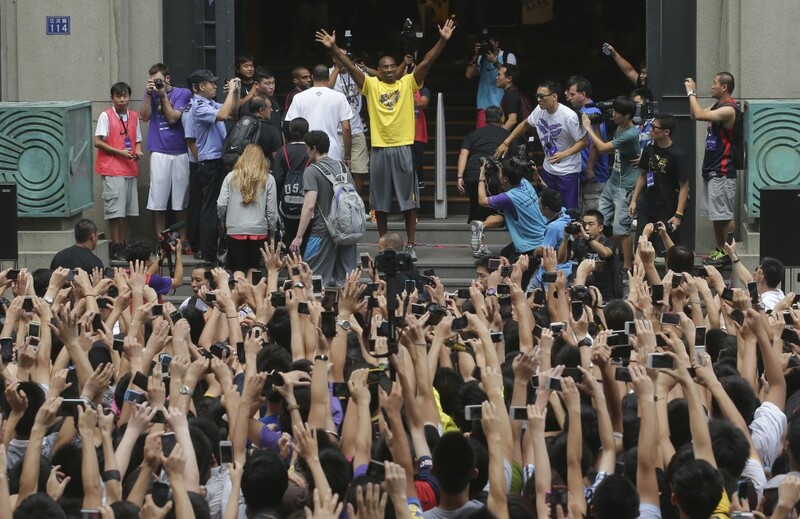 Kobe Bryant is a pretty popular guy, even more so in China than he is at home. When the U.S. National Team was introduced before every game at the 2008 Olympics in Beijing, Bryant got twice the ovation of any of his teammates. 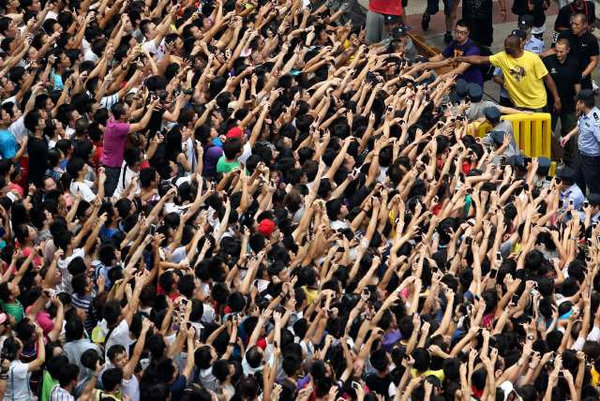 LeBron James may be the best player in the world and the center of NBA media attention here in the States, but he’s got nothing on Kobe in China. Winning five championships with the Lakers certainly helps. But Bryant has taken it further by visiting China every summer for the last seven years. And while most of his Olympic teammates are back home, Bryant is still on the road, touring China once again. Mark Medina of the Los Angeles Times has the details… Bryant told The Times in February that he found that the Chinese were especially welcoming when he hosted a clinic in 1998. 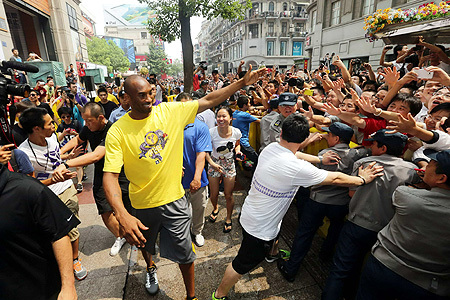 This is the seventh summer in a row that Bryant has visited China, including the 2008 Beijing Olympics. On this trip, according to published accounts, Bryant has hosted training clinics at Jinan in China’s Shandong province and in Wuhan in Hubei province. Bryant attended a charity dinner hosted by the China Soong Ching Ling Foundation, which raises educational funds for needy children in both China and the United States. And it’s also safe to presume he’ll participate in various events promoting his Nike sneakers. Posted in HYPE-ALERT, MEDIA, SportsTagged 2008 beijing olympics, China, Kobe Bryant, Kobe Bryant in China, Lebron James, Nike, nike sneakers, soong ching ling, SPORTSBookmark the permalink.